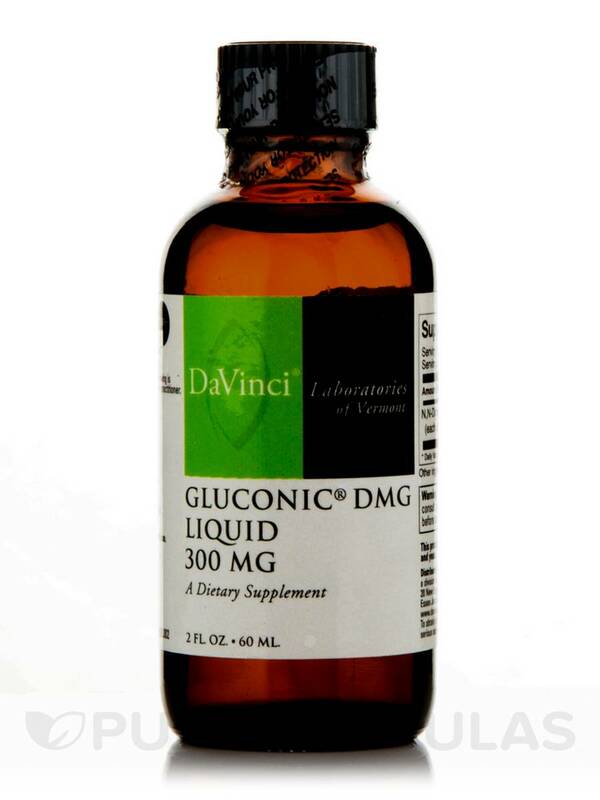 Gluconic DMG Liquid by DaVinci Labs is a great product but goes fast! 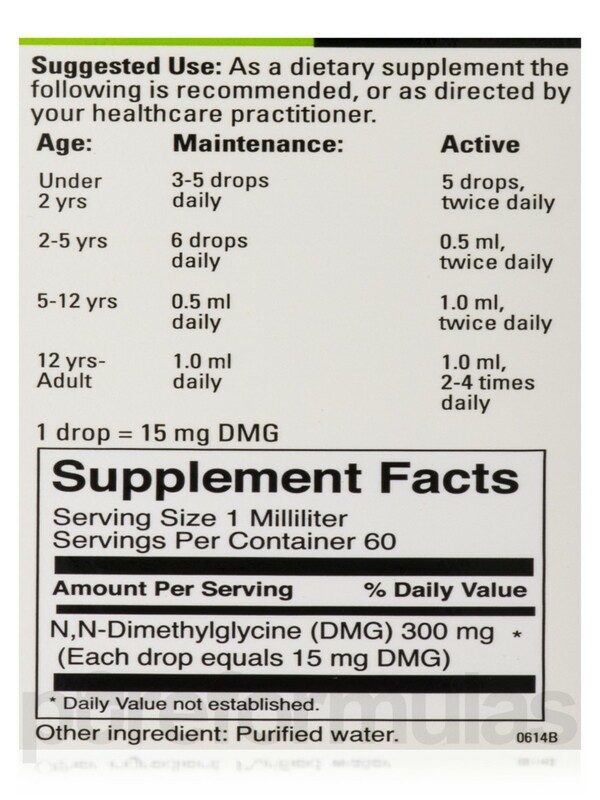 My son has daily doses to bio medically treat his symptoms I have no complaint about this product. 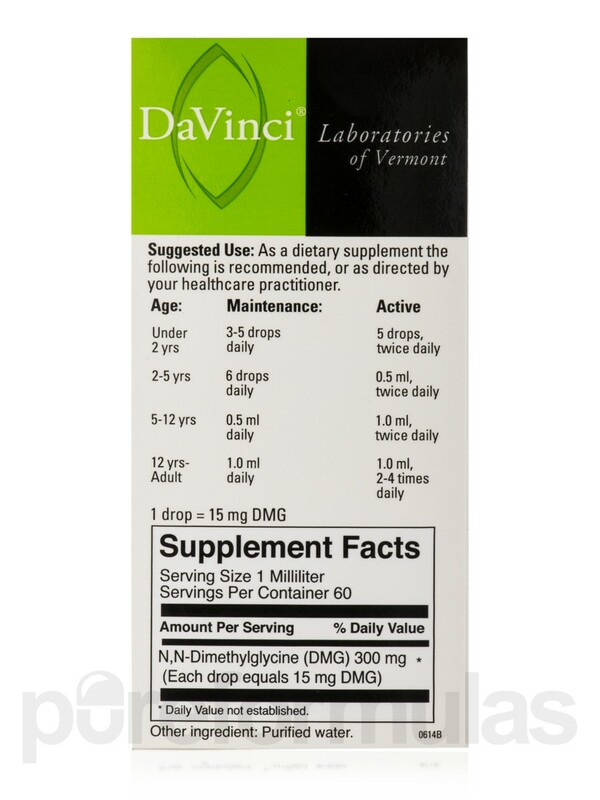 Gluconic DMG Liquid 300 mg is manufactured by DaVinci Laboratories to help support the functions of the circulatory system. 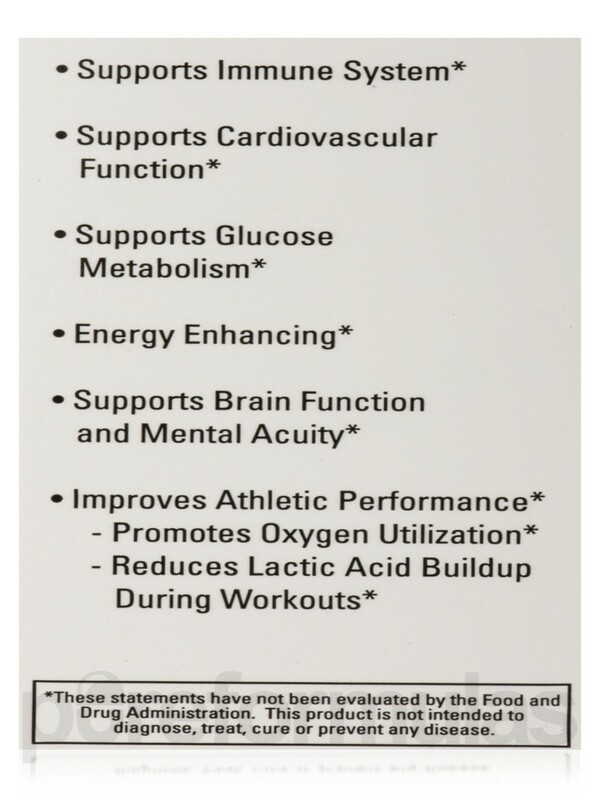 Gluconic DMG Liquid 300 mg helps produce high energy levels. N-Dimethylglycine helps modulate fatigue by promoting the oxygen utilization of tissues. N-Dimethylglycine can help with the regulation of helping in lowering blood pressure and cholesterol levels. N-Dimethylglycine is an intermediary metabolite‚ which plays a temporary role before it is broken down into other useful substances. 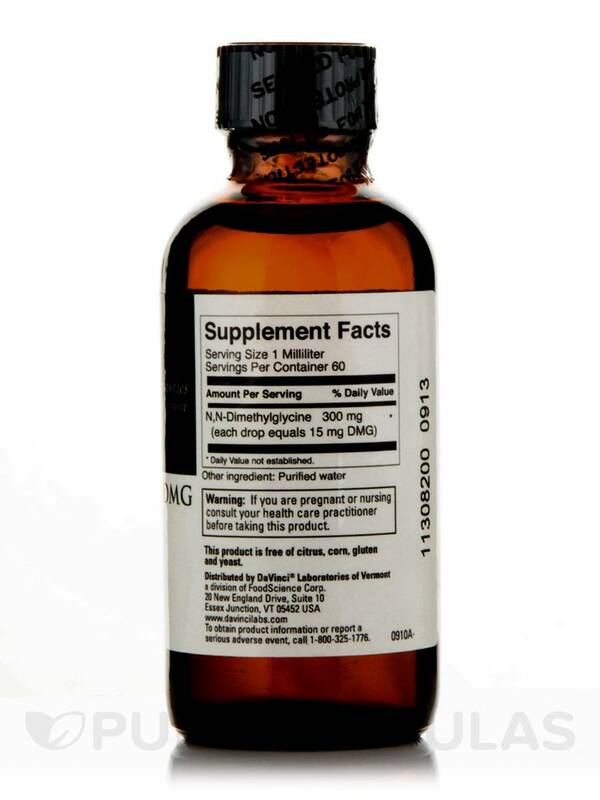 N-Dimethylglycine enables the body to better cope with physical‚ emotional‚ and metabolic stress. 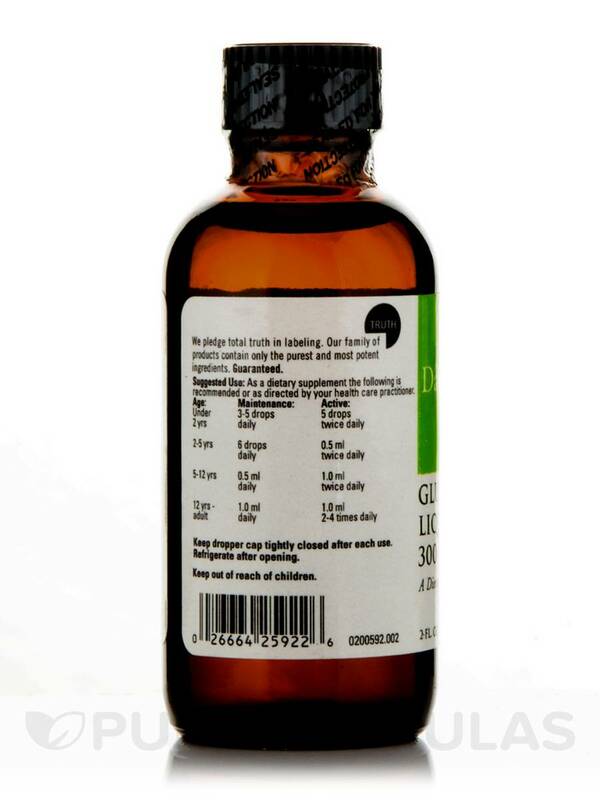 Gluconic DMG Liquid 300 mg provides building blocks needed to support important body systems. 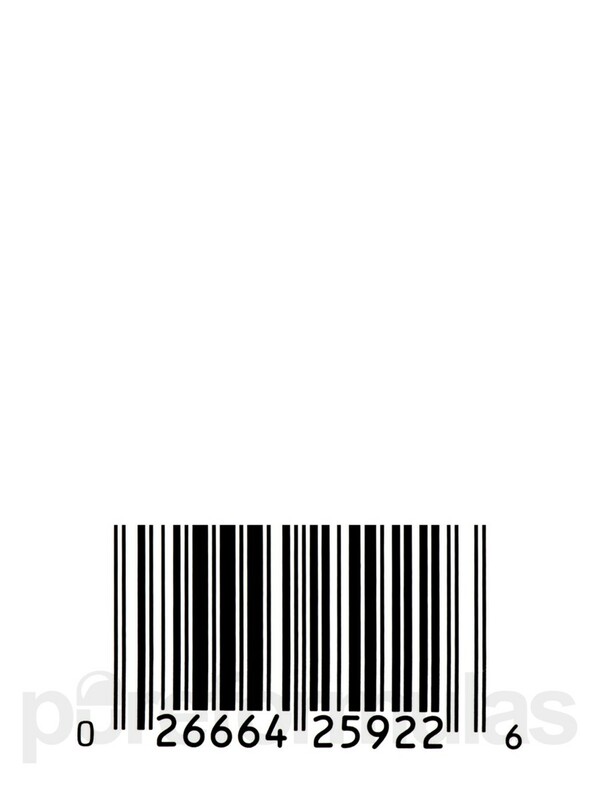 Trust PureFormulas to provide low prices and free shipping on products from DaVinci Labs! 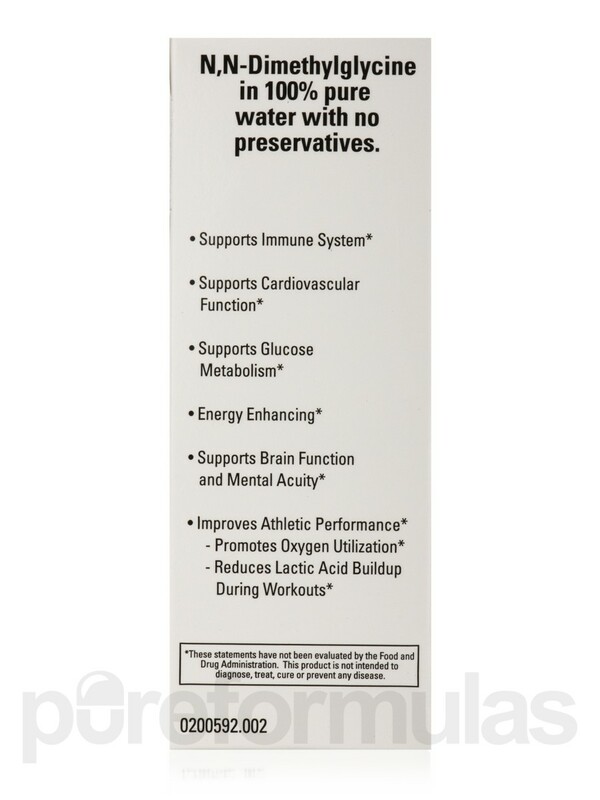 N‚N-Dimethylglycine (DMG) in 100% pure water with no preservatives. As a dietary supplement the following is recommended‚ or as directed by your healthcare practitioner. 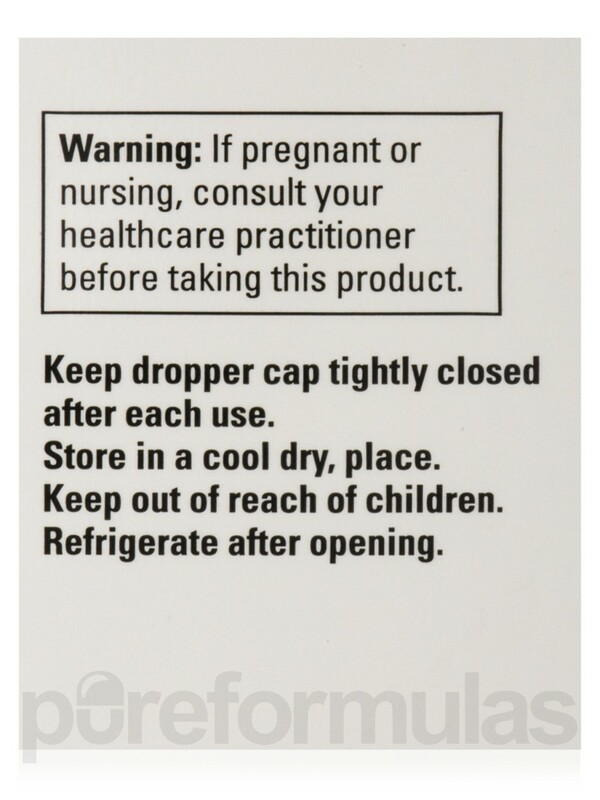 Keep dropper cap tightly closed after each use. Refrigerate after opening. Keep out of reach of children. Store in a cool dry place. 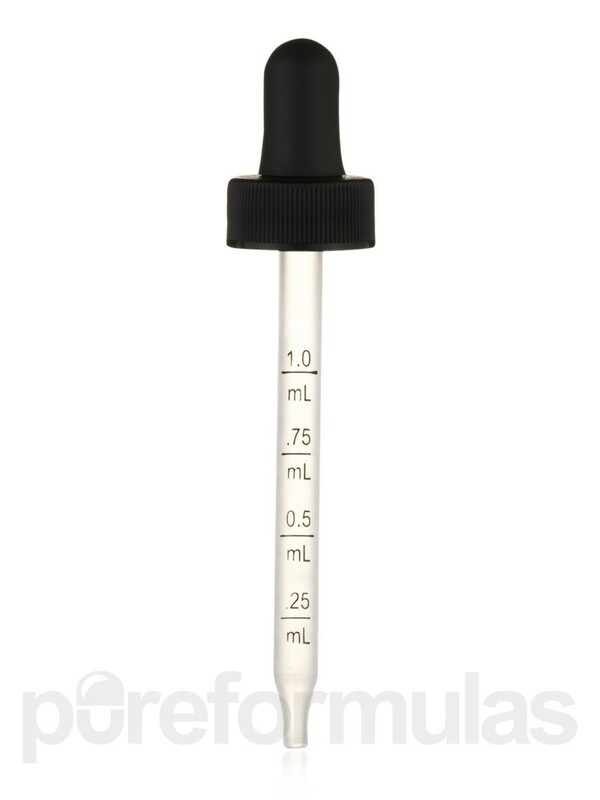 Gluconic DMG by DaVinci Labs works well and the price is good!